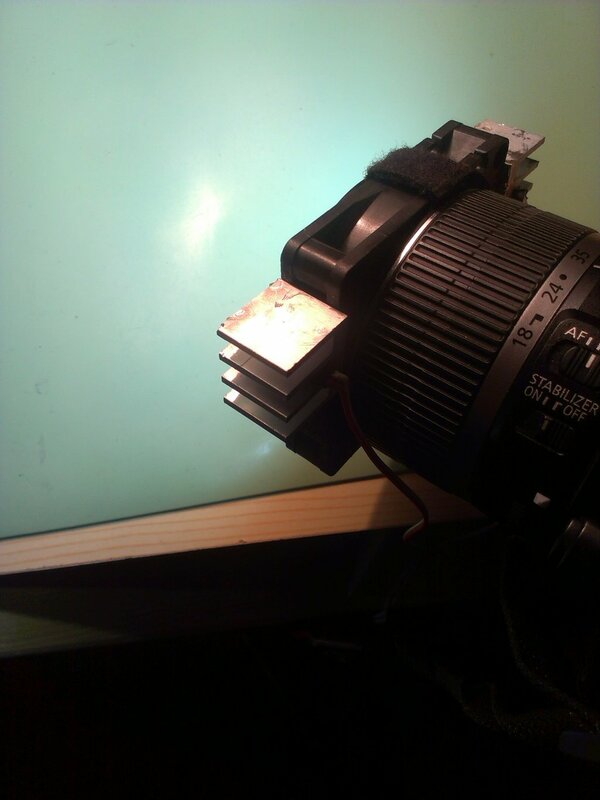 Today I needed a ring light (kind of) for taking some well-illuminated macrophotos with my D-SLR and I found it in the microscope light design which I presented some weeks ago. 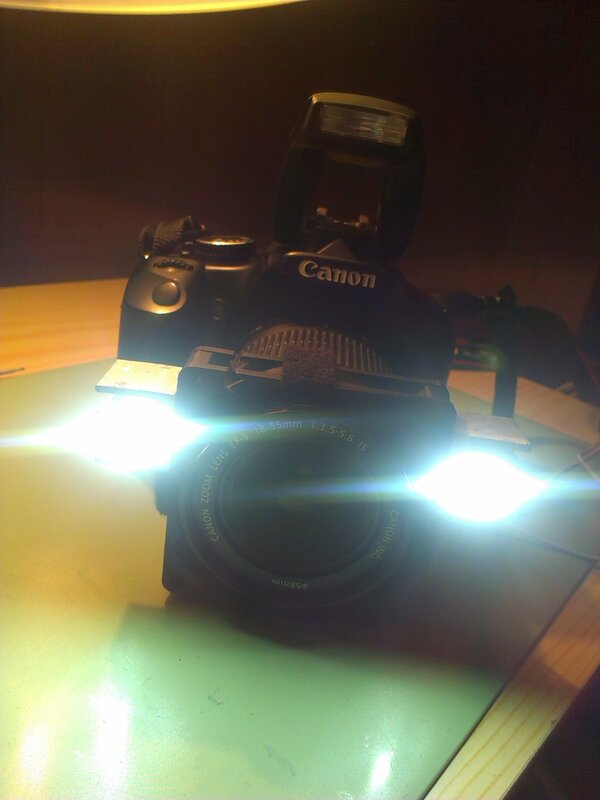 This time, I used two Cree power LEDs salvaged from a car lighting (type unknown, but bright...8-). These two are so bright, that they cast a pretty uniform light. 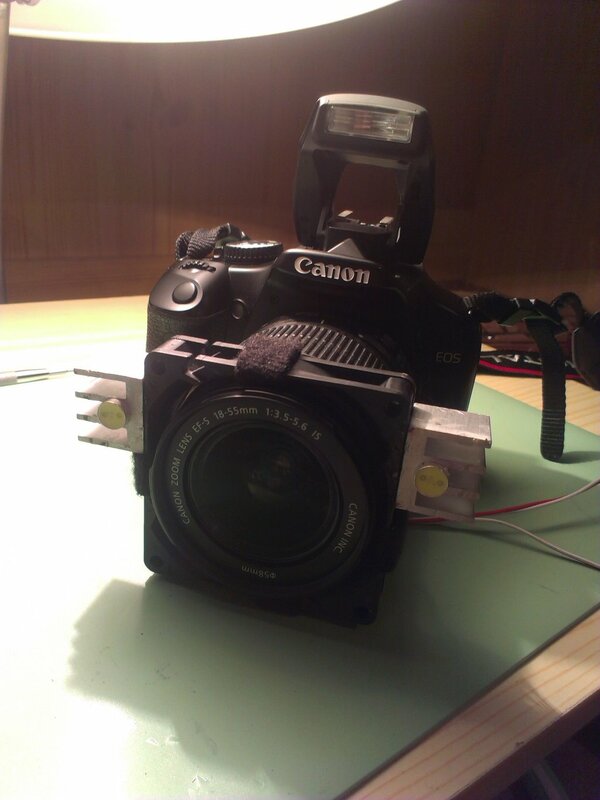 Adding further power LEDs could actually make it a real ring light. As long as there are just two of them, I decided to call it a "nonring light".